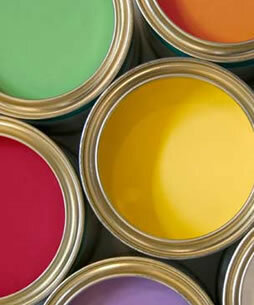 Some paint companies claim to "exactly match" any color you can imagine or any object you bring in the store. Maybe it is because of our own high expectations of what a good color match should look like, but we are cautious about over static human capabilities. Some objects such as fabrics, inks, plants and fruits have color from other sources than we have available in the colorants we use to tint paint. 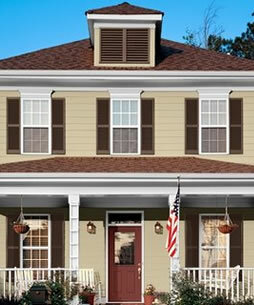 We are limited to the 12 or 16 colorants provided to us by the manufacturer to achieve a paint color. Although we ca n get darn close, there are times, in our expert eyes, that our match is certainly not exact. Another challenge in matching an object may be that that object is not just one color. If you look closely, a surface may actually be composed of many different colors that seem to be one color from a distance. A third challenge to achieving a good match varying light sources. A great color match under one type of light, may look terrible under a different light source. This phenomena is called metamerism and can drive any paint store crazy. We believe we can match a paint color better than anyone around but do not ever use the words exact or perfect when it comes to paint.